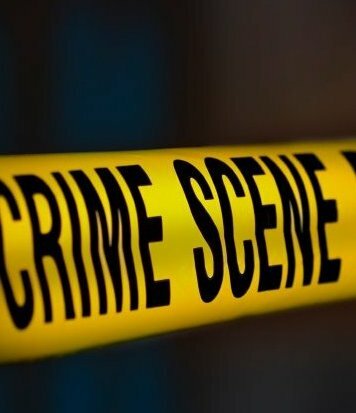 (CNS): A man was robbed at gunpoint outside his home in Tropical Gardens, George Town, in the early hours of Sunday morning, police said Monday. According to the police report, at about 12.30am on 10 March, as the man got out of his car in his driveway in Tropical Manor he was approached by two masked men. One of the men was in possession of what appeared to be a firearm. The robbers threatened the man, stole his wallet containing a quantity of cash and then followed him into his home before making off. The suspects are described as both being between 5’4” and 5’5” in height with light complexion and deep Jamaican accents. It is not yet known if any other property was stolen during the stick up but the man was not injured in the incident. The suspects are said to have been spotted standing under a nearby tree before the man arrived home. Anyone who was in the area, or saw the suspects standing there before the robbery, is asked to call George Town CID on 949-4222, or Crime Stoppers 800-8477 (TIPS). (CNS): Government Information Services released a tip sheet on the dangers of drinking and driving on Monday as part of a March safety campaign to raise awareness about not using alcohol before getting behind the wheel. 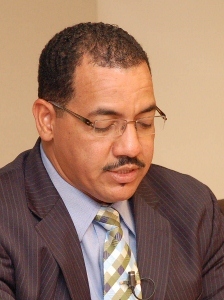 The tips come just one week ahead of when Education Minister and Deputy Premier Rolston Anglin is expected to return to court to hear what punishment will be meted out to him following his arrest and conviction for drunk-driving last year. Anglin originally denied being intoxicated behind the wheel when he was involved in an accident on the West Bay Road in May and arrested for DUI at the scene. Anglin was with a mystery female passenger when his car veered off the road in the early hours of the morning and ended up in the bushes by the Avalon Condos on 23 May. When the trial opened in traffic court last November before magistrate Kirsty Ann Gunn, the crown claimed that the minister gave three different accounts of how the car smash which led to his arrest for DUI occurred. The court also heard how police officers who responded to theaccident report managed to ‘lose’ the mystery female witness who was a passenger in the car. According to the prosecutor, Anglin recorded 0.136 in a roadside breathalyzer just before his arrest at around 3:45am. 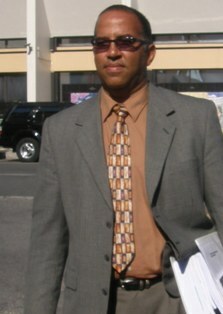 Crown counsel Matthew Coles told the court, in a detailed opening statement relating to the case, that Anglin had given his first account sometime around 2:30 in the morning to the then Chief Inspector Angelique Howell, saying he had been involved in an accident after falling asleep at the wheel. The second account was to the sergeant who arrived at the smash, when he said he had swerved to avoid an on-coming vehicle. Then in his final account in his formal statement to police, Anglin said he had attempted to turn his car around as he had forgotten to buy dog food. On his return to court following the adjournment of the trial after the firstday, Anglin changed his plea to guilty and is now expected to be sentenced on Tuesday 19 March. Since then the minister has assumed the post of deputy premier after he and four of his former UDP colleagues sided with the opposition in a no confidence in government motion, which resulted in the ousting of McKeeva Bush from the office of premier following his arrest on suspicion of theft and corruption related offences in December. As a result, Anglin now has a car and driver with his new job, at least until 22 May when Cayman goes to the polls to elect a new government. Driving drunk is a criminal offence and goes on an individual’s permanent criminal record. 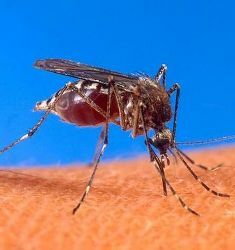 It carries a maximum penalty of six months in prison, a $1,000 fine, and a loss of license for 12 months for a first offence. According to the tip-sheet released by government officials Monday, alcohol slows reactions, creates a feeling of over-confidence, impairs judgment of speed and distance, and reduces the field of vision. Officials urged people to assign designated driver, walking to the restaurant or bar, calling a cab, or asking the bar or restaurant staff for help. They also encouraged people who see friends that have been drinking to follow the steps to keep them safe and keep the roads accident free. 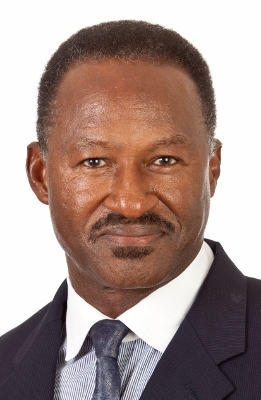 (CNS): Former Sister Islands MLA Lyndon Martin has been cleared of allegations of shoplifting charges on Cayman Brac following an investigation by local police. Martin told CNS that the accusations that he had stolen items worth a few dollars from a local Brac store were a malicious attempt to damage him. However, the former UDP politicianand Net News journalist, who was at the heart of the controversial Operation Tempura drama, still has another legal battle to fight as he has been charged with theft of more than $900 from the Creek and Spot Bay School PTA, an accusation he has also denied and for which he faces trial next month. The former MLA, who arrested last April on suspicion of stealing $4.10 worth of goods from Tibbetts Enterprises, said he had cooperated fully with the RCIPS. “Baseless allegations were made against me and were fully investigated. I cooperated with the police, as I understand that they have a job to do. The police did not find evidence to support levying any charges against me. I thank the police for their professionalism and I am happy that the system and justice has prevailed over malicious attempts to damage me," he added. Martin also denies stealing $926 from the school association and will face summary court trial on the Brac on 25 April. Martin told CNS that he has not yet made a decision whether or not he will be returning to the political hustings for the coming election but he has stood in every election since 2000. He served as a backbench MLA in the UDP administration between 2001 and 2005 and then to lost to Moses Kirkconnell in the 2005 election. In 2009 he ran as an independent and again came in third place with just over 37% of the vote behind the now premier Juliana O’Connor-Connolly, who came in behind Kirckonnell, who secured over 58% of the vote in his second time around. (CNS): Award-winning local author Marilyn Jax has released the third instalment in her Caswell/Lombard crime series and will be talking about the book, signing copies and discussing the series at a local launch next Tuesday. Marilyn Jax served as a senior government enforcement investigator for close to two decades, and is a retired Certified Fraud Examiner. She is the international award-winning mystery author of The Find and Road to Omalos. Jax lives in Minnesota and Cayman and draws on her experience as an investigator for her story lines. 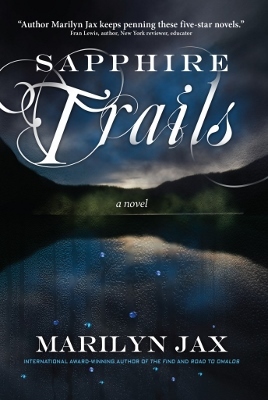 In this latest book Sapphire Trails, private investigators Caswell and Lombard visit friends in Montana but shortly after they arrive a cold-blooded murder takes place and they are pulled into the whirlwind investigation. The free launch and book signing of Sapphire Trails will take place on Tuesday, 19 March at 7pm at Books & Books in Camana Bay. With around 15 independent candidates at this point making their political debut on the hustings this election, few of them have been able to say how they foresee the role they will play in the LA ifelected and how they plan to keep their campaign promises once they have a seat. “However, my hope and belief in the collective wisdom of the Caymanian people on 22 May is that they will elect candidates that better reflects their goals and aspirations versus any one political leader. The mixed dynamics would mean beautiful things for the Caymanian people and especially for West Bayers. The power of one in a parliament of 18 then becomes equal – all things considered,’ he said. (CNS): One of the leaders of the Coalition to Keep Bodden Town Dump Free has announced his intention to fight for a seat in the May election for his district. 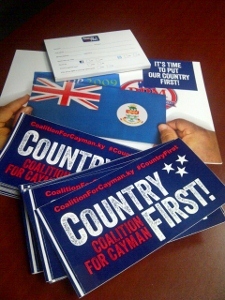 Gregg Anderson, who has been campaigning for months against the ForCayman Investment Alliance, which includes the closure of the West Bay Road and a proposal to move the George Town landfill to Bodden Town, will be attempting to take his fight to the Legislative Assembly on the Coalition for Cayman ticket. He is asking people to end divisiveness in the country by voting for an independent candidate. Anderson says he is a 10th generation Caymanian, Certified Management Consultant and entrepreneur who has watched the economic, environmental and social decline of Cayman for the past decade.